This program has been created for children from 18 months to 3 year olds; however it works great for ages 6 and under. Judy Tudy begins by introducing herself as a “Mommy” clown and showing her clown family with photos. This reinforces relationship of family, and the importance of a “Mommy”. Next, the children have the opportunity to pet a LIVE bunny rabbit! 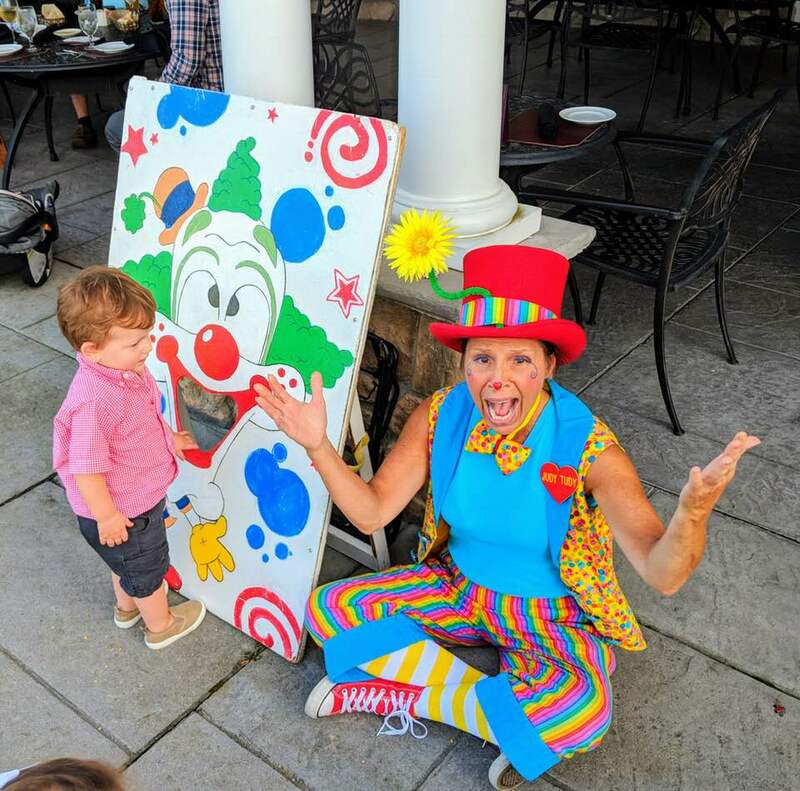 Since this might be a child’s first experience with a clown, Judy Tudy goes to great lengths to make this a loving and welcoming experience.This program is developed for the very young child on the go and their short attention span. The program is jam-packed with body movement to silly songs like “skidamarink song”, bean-bag toss and baffling balloon sculpting! This program has been created for children from 18 months to 3 year olds; however it works great for ages 6 and under.